In this we offer a perspective of shared and valued humanness awake within the sensuous language of the world. Songworlds is a creative conversation through song, inquiry and the practice of Amerta Movement. Since 2001 seminars have offered participants a time for personal process and professional application, mainly in the field of the arts. Since 2014, working in Italy at CSPP - Centro Studi di Psicologia e di Psicosomatica Clinica (Pescara) - interest in its therapeutic implications has become an added focus. Hof Kuppen in Halscheid, near Cologne, Germany (February 28th - March 5th). 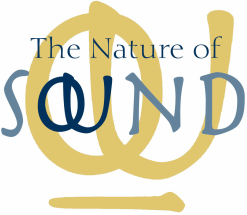 Songworlds: is an invitation to ritual, to dialogue and to elementary sound practices. Chosen personal songs become a source of inspiration creating a resonant field for exploration of collective and individual motivation and themes. From the Songworlds perspective: song is expression not only of the I, but also of love itself; and speaking is just one form of singing. Inquiry: Although not necessarily intrinsic to psychotherapy, most therapists who adhere to psychodynamic theories employ some form of inquiry. We see and understand inquiry as an open ended practice, both a tool for self-realisation and for working with others. Inquiry comprises the potential to reconcile our human tendency towards the mental and analytic, that so can dominate our sense of personhood, with a more holistic understanding of world and our place within it. Songworlds began life as an improvisation project at Arturo Schauspielschule in Cologne, Germany. It's value as part of an actor's training was recognized and further developed over 12 years to become part of the core curriculum. The essence of its value was in developing an actor's ability to be personal on stage, to see that presence came through permeability and vulnerability rather than the adding of layers. In improvised performance the moving awareness of both the individual and the collective became an openness to the moment expressing itself onstage. thank you so much for this deep work in the beautiful surroundings of Folke Manor you have organized! thank you!!! As well as running public courses, Michael and I are open to enquiries from interested institutions that might see Songworlds as a useful approach.